Halsey is an albino porcupine, found in early June by a biologist working (where else?) in the Halsey National Forest in central Nebraska. Halsey was found near death on the side of the highway, having been hit by a car sometime during the night. Her injuries were extensive - a broken arm, broken nasal bone, both top and bottom incisors snapped off at the roots, bruising over 75% of her body, abscesses in her leg, and a wide, spine-deep laceration from the tip of her tail to her back, which, by the time we received her, was infested with maggots. By all accounts, she should have been dead, either on impact, or in the few days it took before we heard about her plight and were able to take her. In the first days that we had her, she underwent several rounds of sedation, wound-cleaning, and diagnostics, and none of us was sure she would make it. Our dedicated staff hand-fed Halsey a blended diet four times a day for 6 weeks as her mouth healed, and then helped her through another round of mouth problems related to her original injury. They took care of her enclosure and put up with her temper tantrums (have YOU ever had a disagreement with a porcupine? ), all in the hope that we could be the ones to help her return to a normal life. Six months later, she is alive and thriving. All of her wounds have healed except she has not yet grown back her upper incisors. 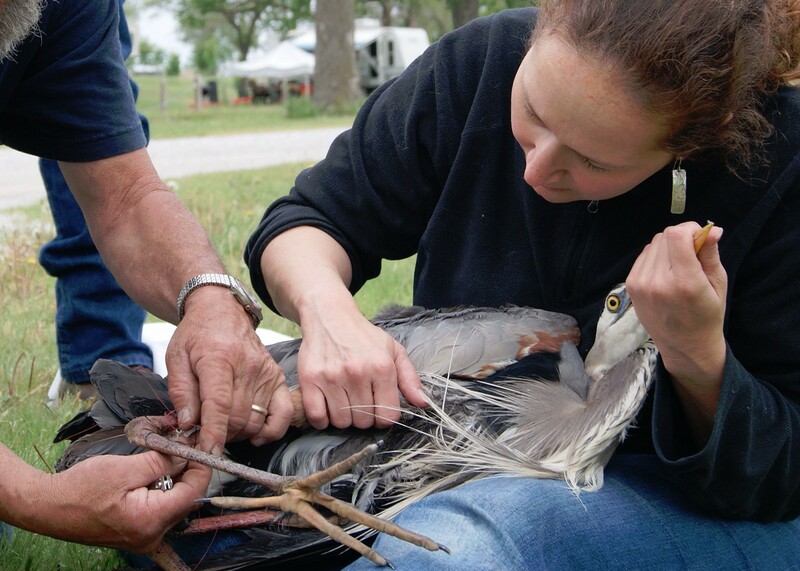 This will prevent her release back into the wild, but it will not prevent her from becoming an ambassador for wildlife in Nebraska. She is by all accounts, a miracle. She is also an individual with a stubborn, demanding, and sometimes even silly personality. She reminds us how important the work of NWRI is every day!